Aparna Kaji Shah, author of The Scent of Mogra and Other Stories, will be signing in the Ontario Book Publishers Pavilion on Friday at 10:00 AM. 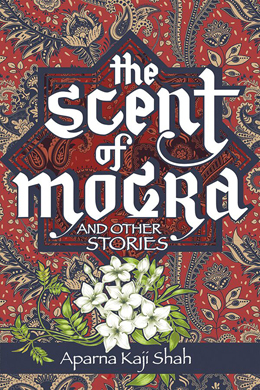 The Scent of Mogra and Other Stories is a collection of four short stories about strong female characters dealing with difficult life-changing situations. These stories illuminate the quality of women’s lives, exposing the pain, the injustices, as well as the triumphs that make up their existence.